Orlando’s team of social media influencers (“Obassadors”) gathered in historic downtown Sanford for an afternoon of education and exploration. One of the oldest cities in Florida, Sanford is home to innovators in many different sectors, including aviation and flight simulation, professional services, and even ground-breaking marshmallow flavors (...more on that later). In fact, Sanford’s economy has a history of being resourceful; when its citrus crops froze in the winters of 1894-95, Sanford commercialized its celery agriculture industry, earning the nickname “Celery City.” Fast forward to the 21st century: Sanford and Seminole County boast diversified economies with a highly skilled and qualified workforce. Over 70 percent of Seminole County’s workforce is college educated and 36 percent is employed in the professional, business, financial and other services industry. These are just a few of the facts the Obassadors learned during their visit. 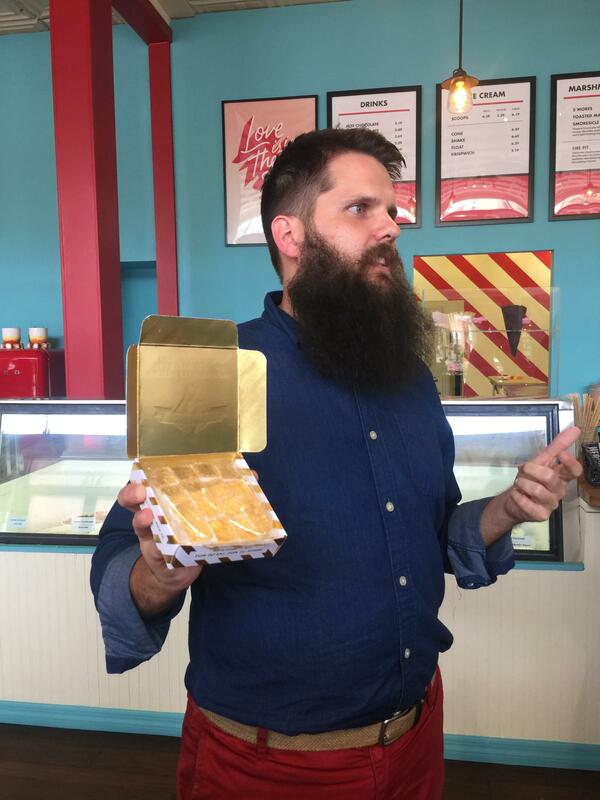 The meet-up kicked off at Wondermade, a family-owned marshmallow and ice cream shop on Sanford’s main street. Wondermade touts the world’s only toasted “s’morescicle” along with 24-karat gold frosted champagne marshmallows. Founders Jenn and Nathan Clark are truly the Willy Wonkas of marshmallows, offering to make a batch of “whatever flavor you’ve always wanted to try.” Obassador Brendan O’Conner from Bungalower looked like he might have some ideas. In addition to its unique, mom-and-pop filled downtown, Sanford is also home to the Orlando Sanford International Airport, one of the fastest-growing U.S. airports transporting over 2.7 million passengers annually. Growing alongside this rapidly expanding airport are companies like Aerosim Training Academy. Established in 1989, Aerosim trains students to become professional, highly qualified pilots using state-of-the-art simulation technology. 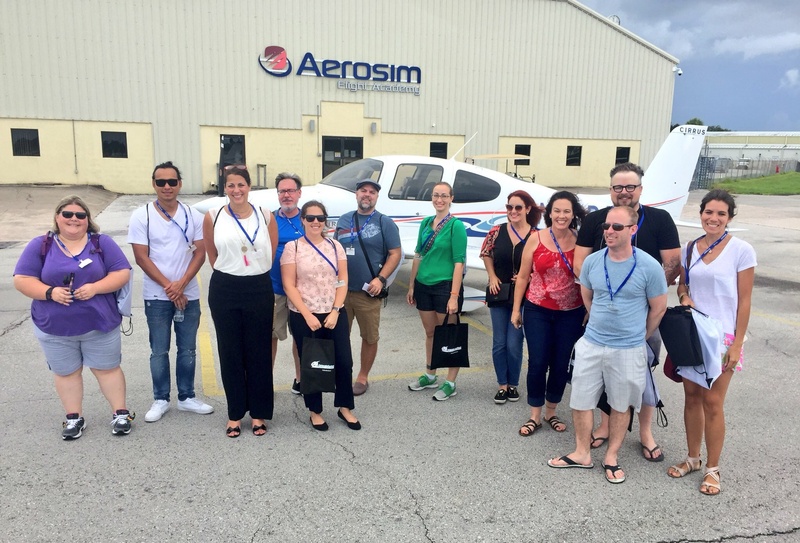 Aerosim is increasing its classes by 40 percent, and will soon be training 600 pilots each year to meet the demands of the growing commercial airline industry. 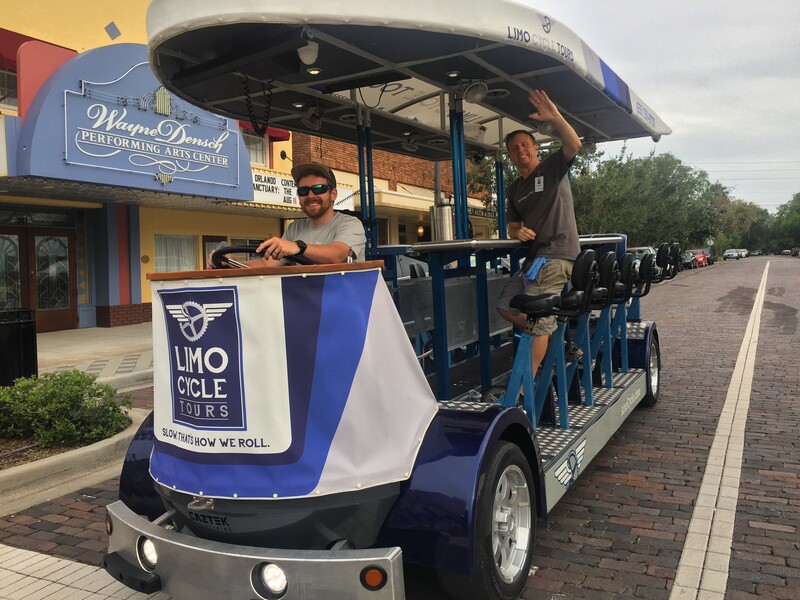 The Obassadors took off from Aerosim to check out another unique transportation asset in Sanford: Limo Cycle Tours. The group hopped on the pedal-powered limousine that seated all 15 people comfortably, with stereo system, misting system and refreshments included. Limo Cycle Tours gave the Obassadors an inside look at Sanford’s “hip-storic” (hipster + historic) character. Starting at the historic Wayne Densch Performing Arts Center, built in 1923, the Obassadors Limo Cycled through Sanford's ale trail, stopping at local breweries Wops Hops and Sanford Brewing and getting a taste of the trendy and flourishing craft beer scene. The group ended the tour at the infamous German Hollerbach’s Willow Tree Café where downtown Sanford was alive with its monthly soulful celebration, Alive After 5. “We came. We saw. We Sanforded,” writes Jen Vargas, managing editor of Central Florida Top 5 and host and producer of FilmSlam at Enzian Theater. In just the span of a Thursday afternoon, the Obassadors tour generated 15 Facebook posts, 109 tweets and 62 Instagram posts, with an overall reach of 202,700. Using the hashtag #ThisIsOrlando, the Obassadors achieved 682,092 timeline deliveries on Twitter and 70,043 impressions on Instagram. 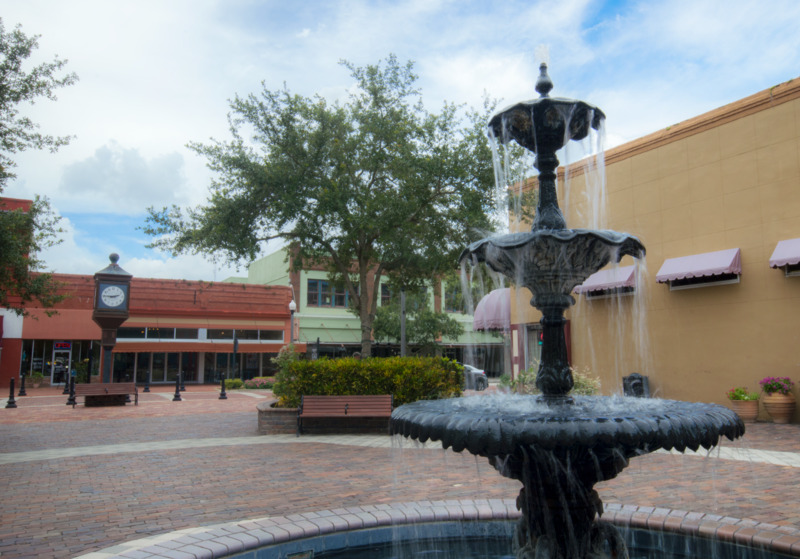 Read more about exploring Orlando’s other half in past Obassadors meet-ups, including the City of Orlando’s swan boats, Lake County’s Seaplane City, and Osceola County’s modern main street Kissimmee. More pictures from the Obassador #Sanfording meet-up are on Facebook here. About this series: Exploring Orlando’s “other half”. This post is the fourth in a series following the Obassadors as they explore unique experiences in the Orlando region, while sharing their experiences with the rest of the world. If you are interested in becoming an Obassador, please visit www.orlandoedc.com/obassadors.